Rigid Wrap plaster cloth by Activa. Create amazing shapes in under 30 minutes. Each roll is 4 by 180 inches. Fast drying, non toxic. 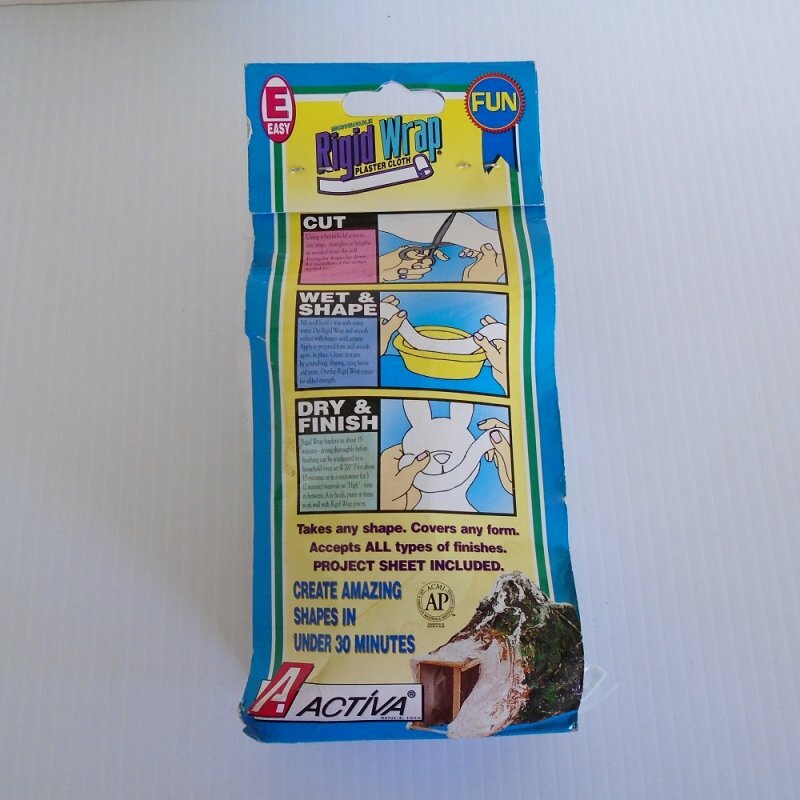 "Activa Rigid Wrap Plaster Cloth is premium quality plaster gauze that is fast air drying and even textured to allow for the finest detail and smoothest work. 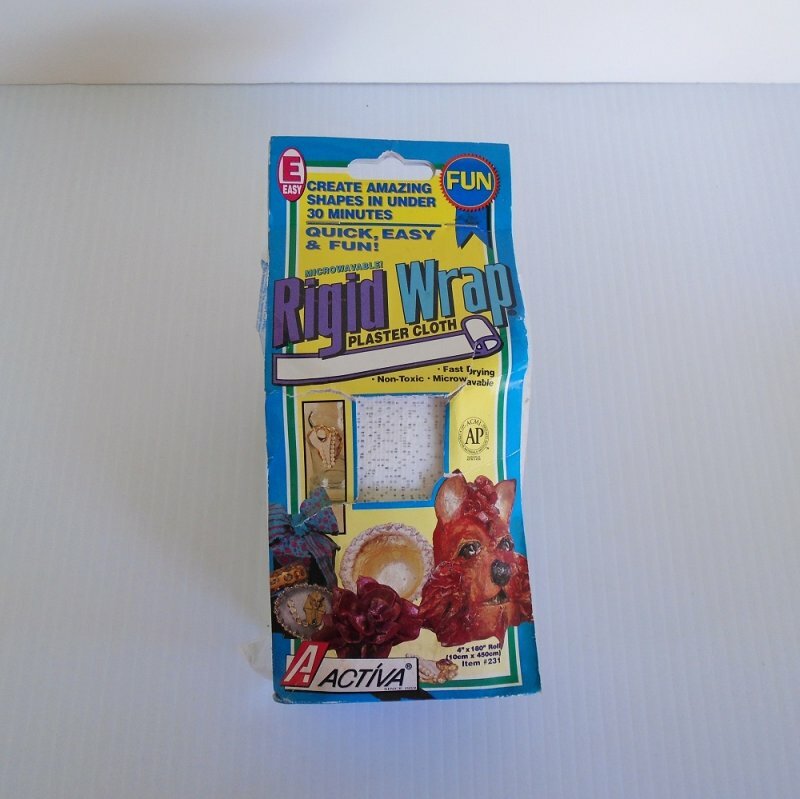 Rigid Wrap is great for art and craft projects such as masks, jewelry, sculpture, home d�cor projects, and props. It is also an excellent medium to make a volcano for school science fairs. Each roll of Rigid Wrap Plaster Cloth is individually wrapped for longer life and cleaner storage. Useable by all skill levels, from beginners to experts, to create extremely exciting craft projects. It is non-toxic and accepts all finishes, and can create quick dry microwave art projects in under 30 minutes, including drying time! Each roll is 4 inches by 180 inches. I have 4 rolls. 3 of the 4 still have their outer store hanging cover attached, the 4th does not have the cover and will be the last one shipped. I do combine shipping to save on postage, so if you'd like more than one, now would be the time to order them. Delivery will be via insured USPS First Class Mail Parcel from California. Buyer to pay delivery charges of $5.20.